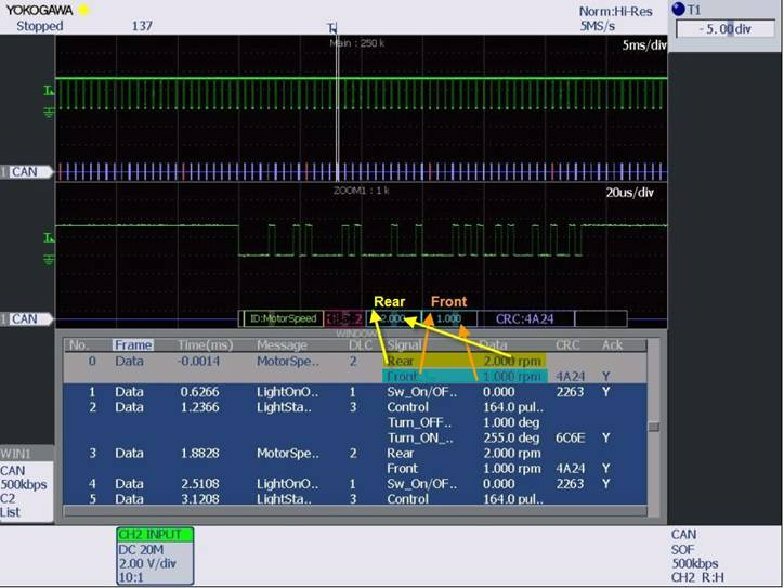 Currently, the SB5000 and DLM2000 series oscilloscopes provide the CAN Bus symbolic decode analysis function. Once the zooming magnitude is enlarged, the indication appears automatically. 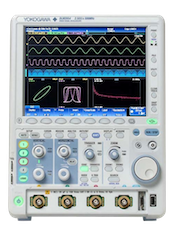 The DL9000 does not provide CAN dbc symbolic analysis display. 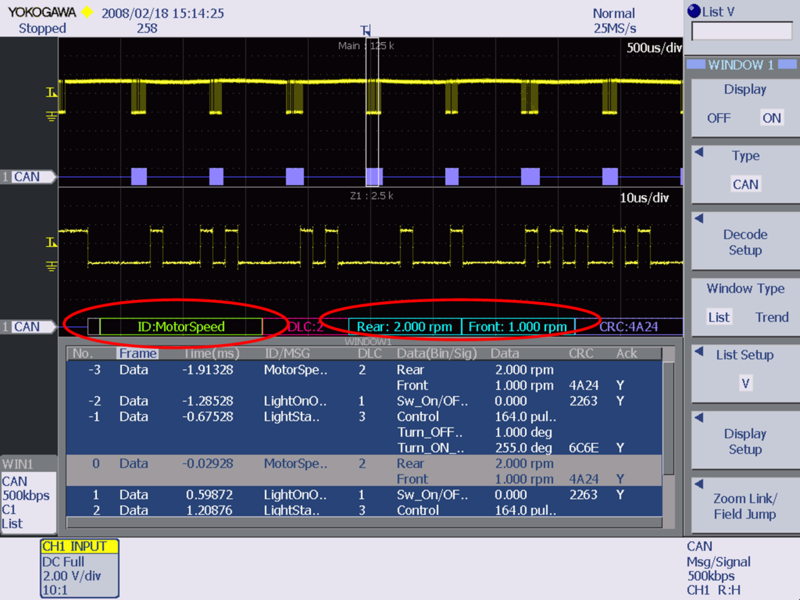 Please see the attached screen shots for examples of the SB5000 and DL9000 CAN bus analysis.